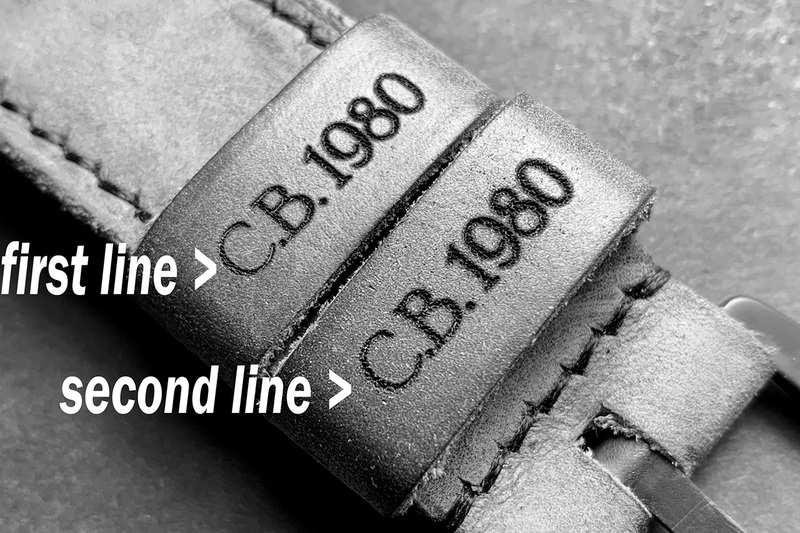 Sizing Information: The lug width and buckle width sizes are given in millimeters and total length of watch bands is stated in centimeters. 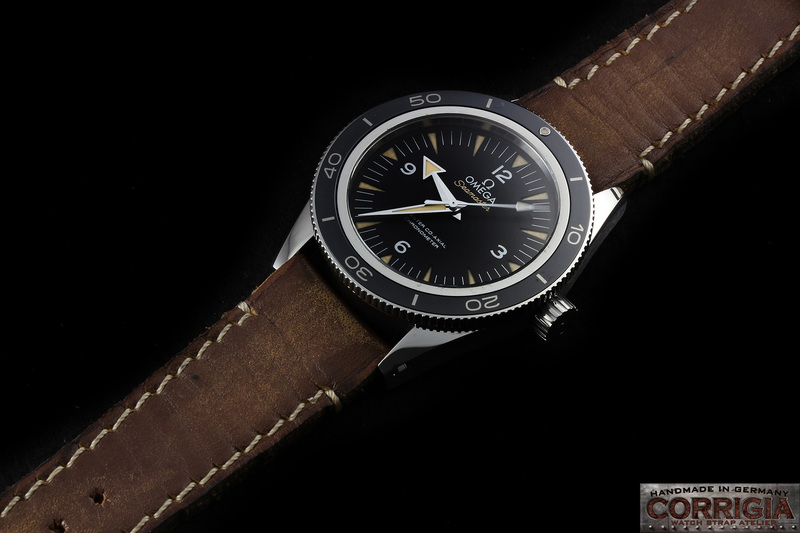 Width is the distance between the lugs, where the strap meets the watch. To determine your width, you can take a ruler or caliper, and measure the width of the part of the strap that uses spring bars / screws to attach to your watch case. Measure this in millimeters.Width is expressed, for example like this: 24/22 (24mm wide by 22mm wide). This first number (24mm) is the width of the strap between the lugs of the watch case. 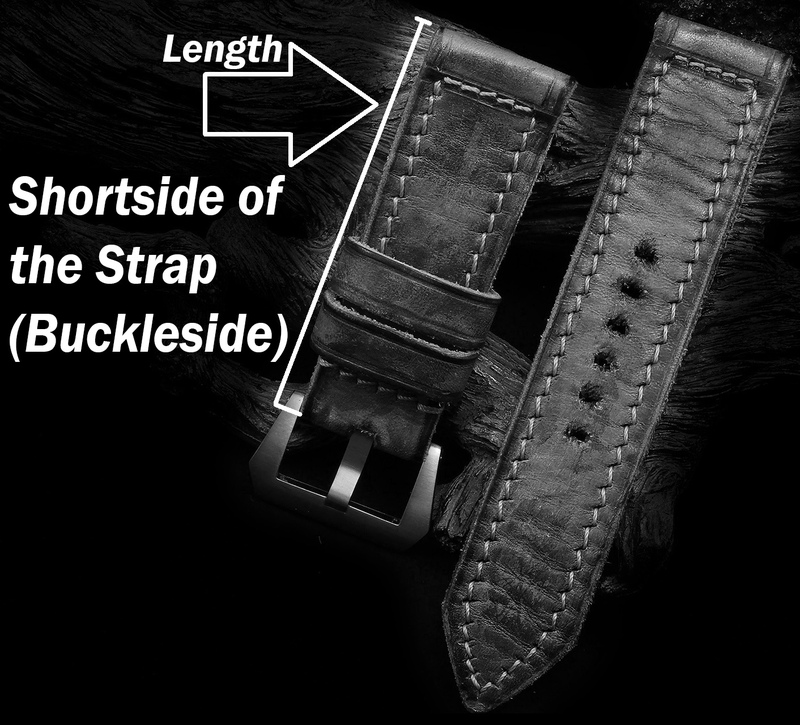 The second number (22mm) is the width of the strap at the buckle. 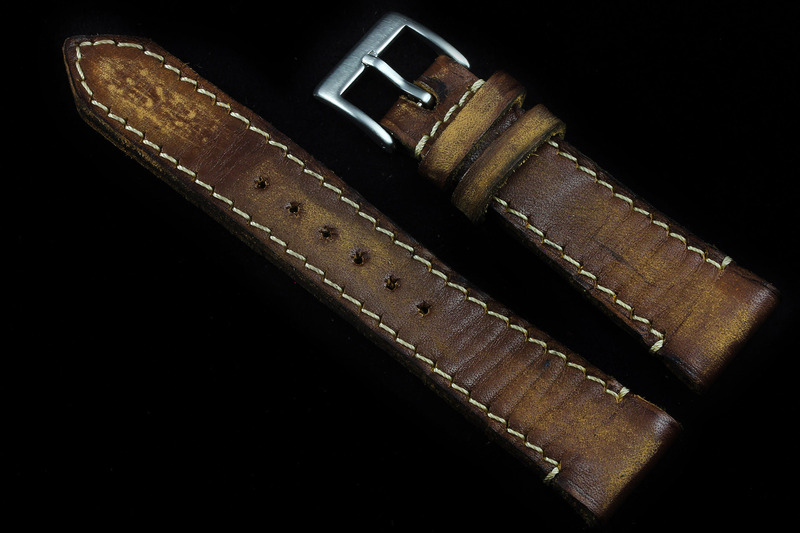 Straight size Straps: “Straight” strap is one that is the same width at the lugs and the buckle, i.e 24/24 (24mm wide at lugs by 24mm wide at buckle). 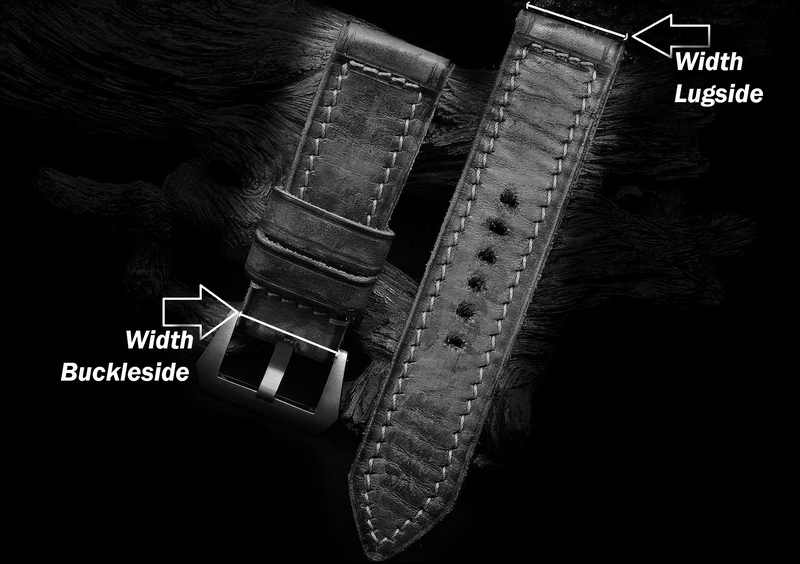 Tapered sizes Straps: Tapered straps start out wider at the lugs (the end that attaches to your watch) and narrow (taper) toward the direction of the tail and the buckle. 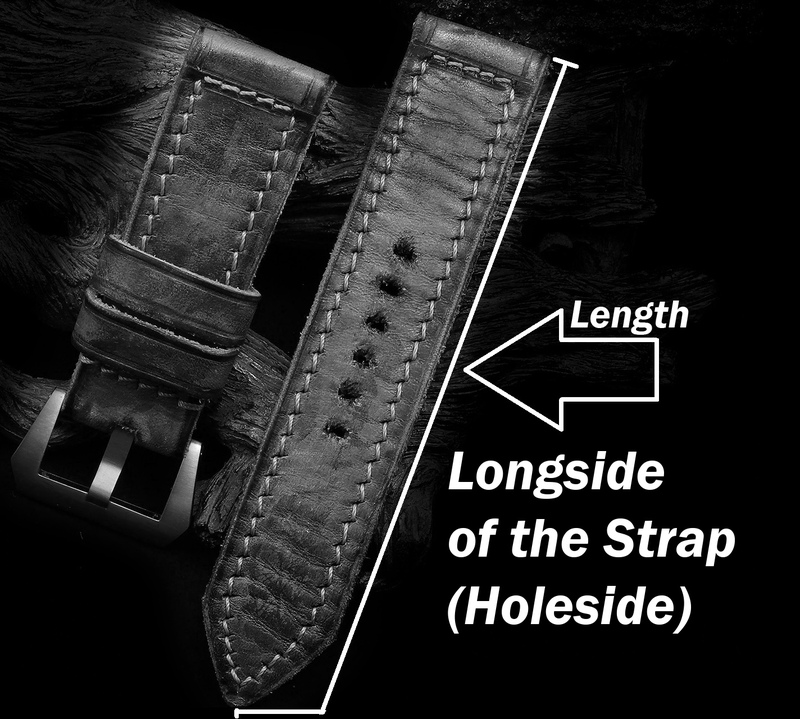 While a “tapered” strap is one that tapers in width from the lugs to the buckle, i.e 24/22 (24mm wide at lugs by 22 wide at buckle). There are two lengths required, the Longside (length of long section with holes), and the buckle side (length of short section, excluding buckle). Length is expressed, for example like this: 125/75. The first number (125) is the length in millimeters of the long side with holes. 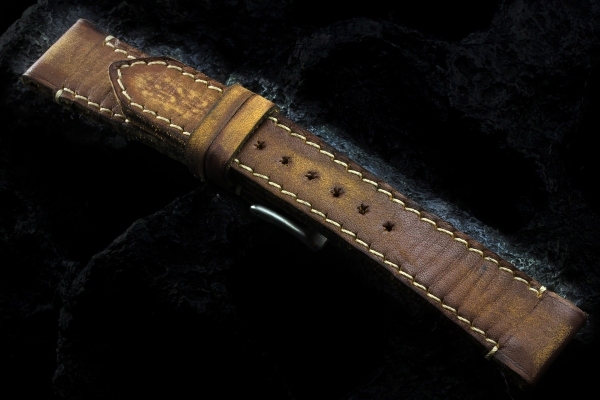 The second number (75) is the length in millimeters of the buckle side. How do I determine my wrist (length) size? You can simply measure your wrist with a tape measure or a piece of thread. With the thread option, wrap it around your wrist at the point where you would normally wear your watch. Then, lay the thread out flat and measure the distance from the end to your mark on the thread. Next, refer to the length size chart below and choose the size that corresponds with your wrist measurement. If you measured your wrist and it turns out, for example, that your wrist is exactly 7" which falls at the end of the 6.6" - 7" size range, then definitely choose the strap size that your wrist measurement corresponds to in our size chart below, which in this case would be 125/75. There's no need to go up a size and there are no in between sizes. 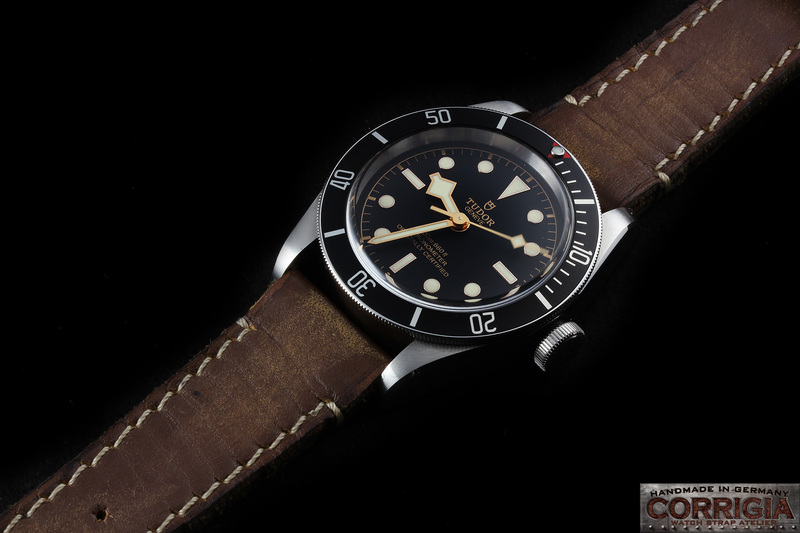 The "ROLSUB-Series are made for watches with smaller lug-dimension like Rolex,Omega,Breitling,Tudor,Patek Philippe,Tag Heuer,Seiko. 100% Handmade & Hand Stitched in Germany ! 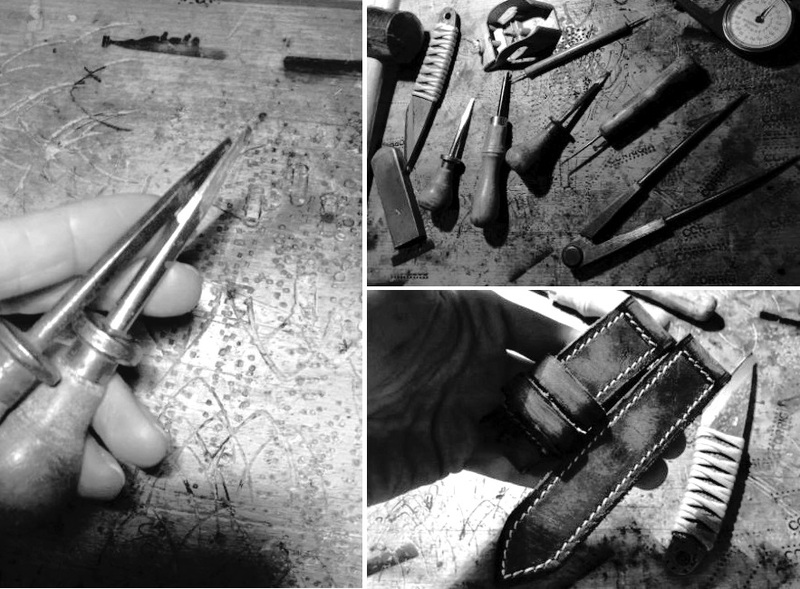 Quality and unique Leather Goods to last a lifetime! Each stitching hole is punched by Antique awl from 1950 and after that double hand stitched with wax yarn. Soft and high-quality Boxcalf leather from Italy. Tearproof and stable wax yarn made in Italy! The leather is not subsequently painted with leather color and there are no chemicals used. The vintage signs and scuffs can be realized in many hours of hand work by grinding and polishing. 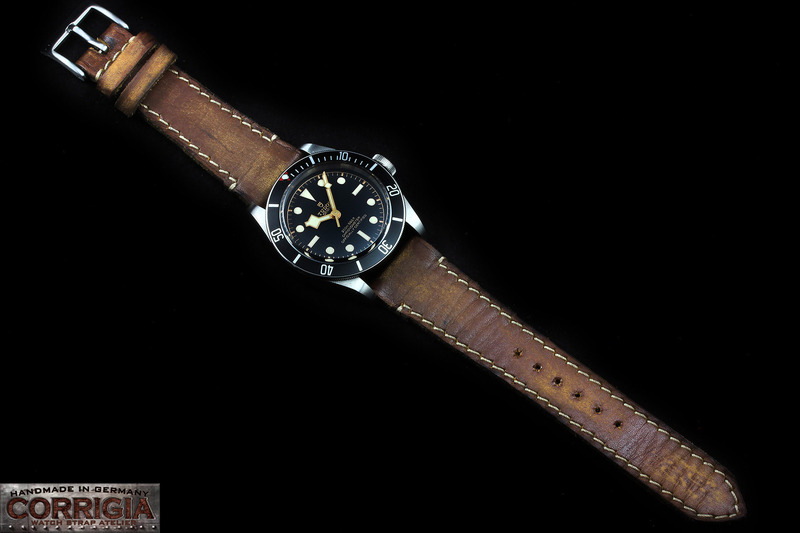 Finally, the leather is treated with sea water and nature leather balsam. Related links to "ROLSUB 13"